The O-gauge "Pine Summit Railroad"
VIDEO: The Track2.com Video Index Page has links to YouTube & QuickTime video of this railroad. Four photos of this layout are shown below. This layout is located east of Muncy, Pa. For privacy reasons, we have included the owner's first name only (Rob), but not his last name. 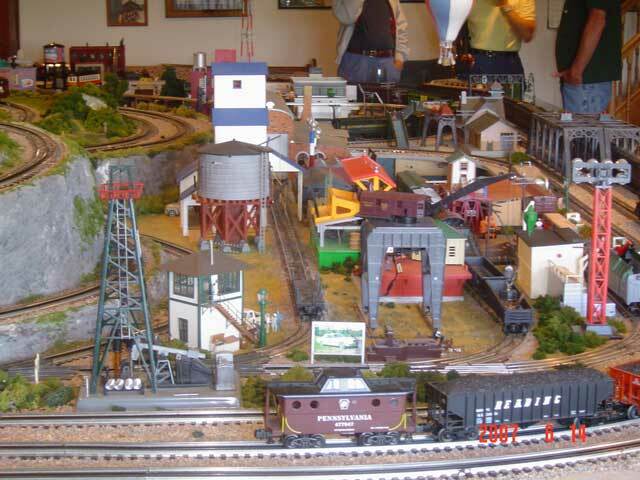 This railroad is probably one of the "best executed" O-gauge railroads in this area. 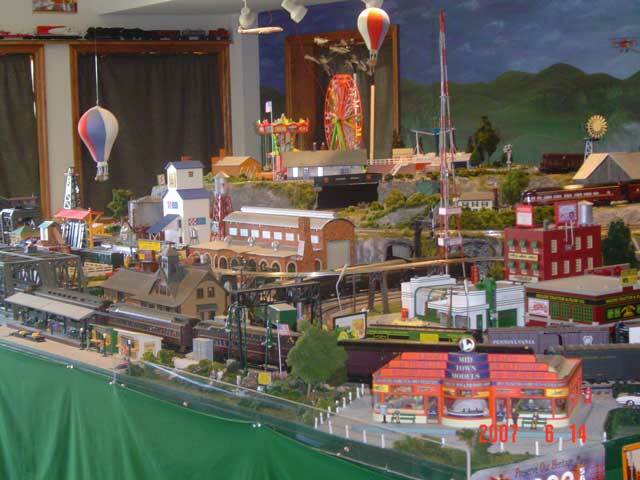 It has great scenery and many animations, including an operating model of the Millville Carnival. 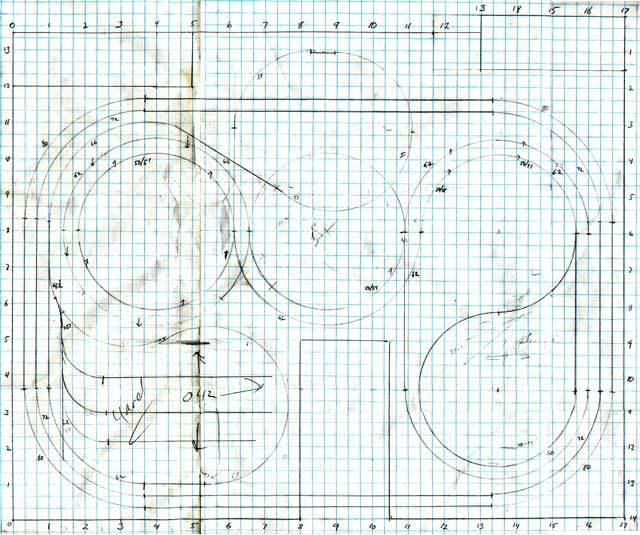 The layout has 4 independent loops (plus a trolley track under construction). It runs 5 trains at 1 time (2 trains run on 1 of the loops). 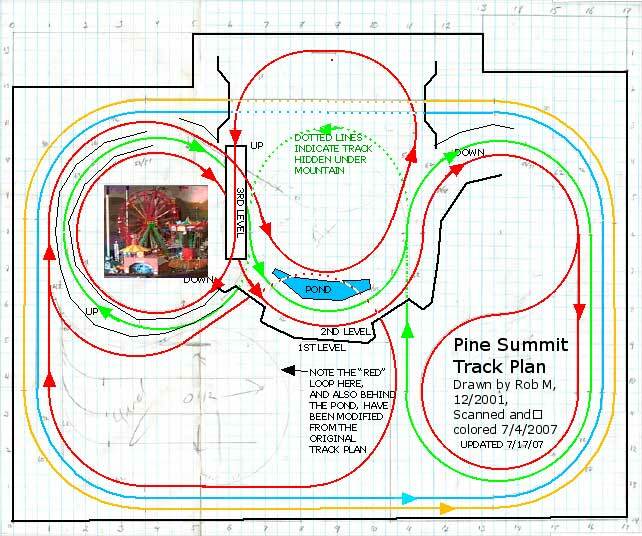 It features a very clever track plan for the 2 trains running on the 2 mountain loops. The more I watch the 2 trains operating on the mountain, the more fascinated I become with this track plan, and the more respect I have for this gentleman's design talents. Note he also uses a clever, but simple system to control 2 trains on 1 loop on the "flatlands" portion. He uses the principle that you can use an isolated block of 3-rail track, to function as a relay, when the 1st train's engines' and cars' wheels enter the block, and close a circuit (the relay) by connecting the 2 outside rails -- thus sending power to energize a 2nd isolated block and startup a 2nd train that is parked on a dead section. 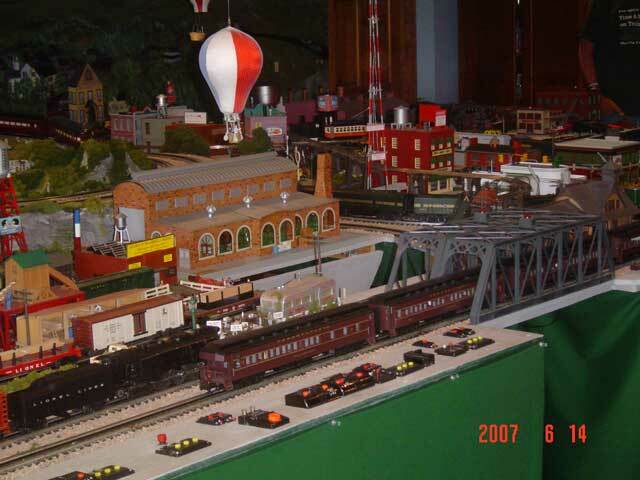 The fictitious town on the railroad is named Bloomsburg. 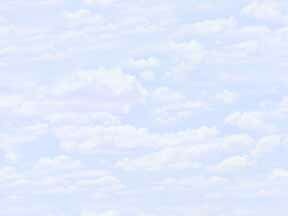 The first YouTube segment includes a history of one of the town's leading businesses, the "Double D Brassiere Company", and even includes a view of the "fitting room". The 2nd YouTube segment includes the "hanky panky under the Gazebo" scene. 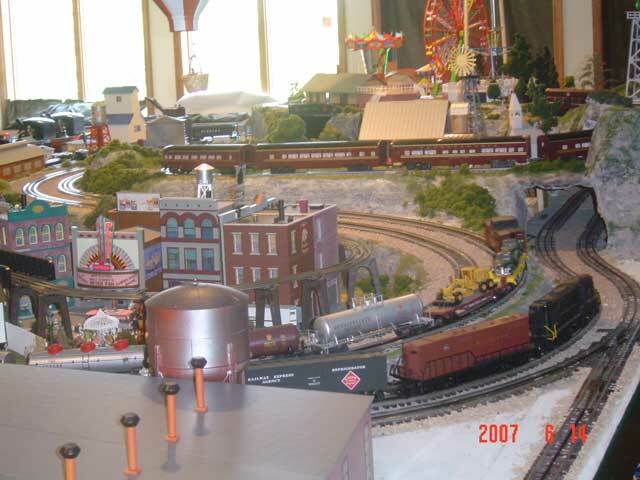 The last 28 minutes (you have to view the Quicktime version to see this) includes a view of the English model railroad shop with operating model trains inside, plus a model figure of Lou English standing out in front of the store. In the video, the red passenger train pulled by the red Trainmaster runs on the red loop. The freight train pulled by the green F-7s runs on the green loop.